Thyme is a low-growing, woody perennial herb native to the Mediterranean region and widely cultivated elsewhere. 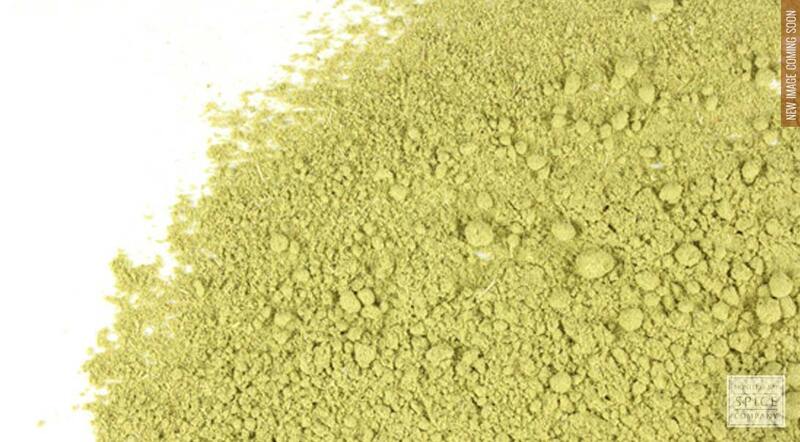 The powdered herb can be used in cooking just like the fresh or dried leaf. Powdered thyme is also used to make a natural mouthwash and gargle, facial toners, poultices and other skin care formulations. appearance & aroma Fine green powder with a mildly spicy scent. cosmetic Infuse in oil for use in soaps, creams, salves and lotions. culinary Use as seasoning for vegetables, meats, pasta, rice, cheese and eggs. Mix powdered thyme leaf with garlic granules and olive oil to flavor cooked pasta. 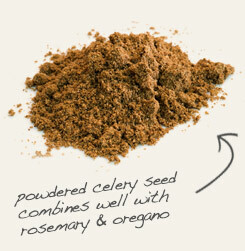 Blend powdered thyme leaf with celery seed powder for a seasoning for soups and stews. The savory flavor of thyme goes well with other Mediterranean herbs in the mint family, like rosemary, basil and oregano. Thyme, also referred to as Garden Thyme and English Thyme, is a compact, spreading herb in the mint family that is native to southern Europe and the western Mediterranean region. It is an herb of antiquity, with a history of use that dates to ancient Greece and Rome where it was used to flavor wines, embalm the dead and ward off nightmares. Thyme remains a popular culinary herb today. It is an essential component of bouquet garni and herbes de Provence. Combined with sage, rosemary, garlic and mustard, thyme adds warmth to poultry seasoning blends. Because thyme contains compounds that exhibit antibacterial activity, the herb is used to make natural tooth powders and mouthwash as well as natural household cleaners. Infused in oil, powdered thyme is also useful in salves and ointments for troubled skin.